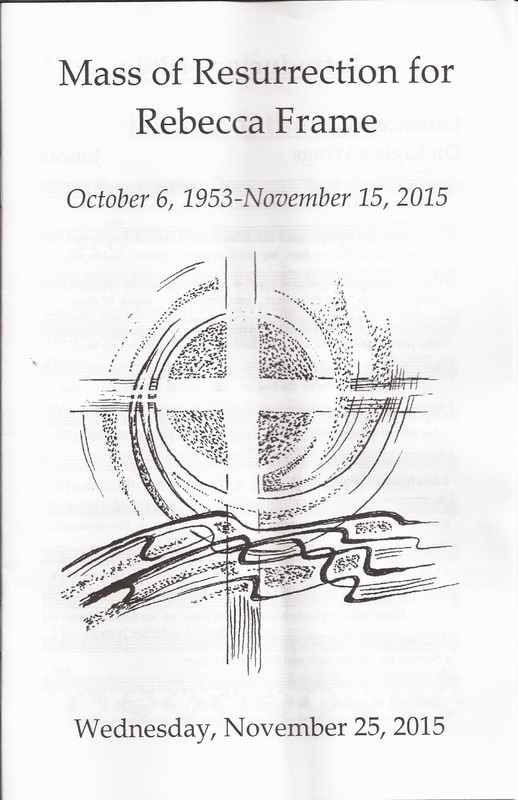 Sharon, Jack and I attended Becky's funeral mass at St. Ignatius Loyola. It was a very nice service. The priest had known Becky from her involvement in the school. As a result, it was a extremely personal homily. Tom gave a great eulogy. Sharon also got up and said a few words. The service was well attended. We then moved to the grave site at St. Mary's Cemetery for a short service. After the interment, we hosted the reception at our house. At one point, I tried to get Jack to count how people were there. My guess is that we had more than 60 people at the house. Sharon did a great job getting the house ready for the reception.